Intergate, in conjunction with our travel visa partner, offers a bespoke Indian visa service that provides advice, compilation of the application, submission and return. Who needs an Indian visa? 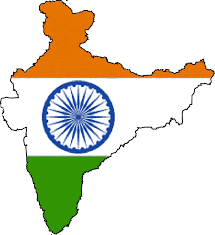 Visitors to India must obtain a visa from an Indian diplomatic mission unless they come from one of the visa-exempt countries or a country whose citizens may obtain a visa on arrival, or an e-Visa online. Tourist visa: Tourist visas are meant for tourism or other non-business related purposes, such visiting friends or family. Business visa: Business visas are given to individuals who would like to make a business trip to India, such as making sales or establishing contacts on behalf of companies outside of India. An Indian visa is applied for at the Embassy or Consulate of India or visa application centre. Do I have to go in person to submit my Indian visa application? The minimum processing time for an Indian visa is three working days. Visitor visas are usually valid for a maximum of 6 months. Business visas may be valid for one year or more with multiple entries. However, you are only permitted to stay in India for up to 6 months at a time. A multiple entry visa valid for 10 years may be available to foreign businessmen who have set up or intend on setting up joint ventures in India. Please note: The visa duration starts on the day of issuance, not on the day of entry into India.